Lets Save Mother Earth by creating unique thing with this EcoBricks! The community of Barangay Fortune and Mark Kelvin Tubio are making ecobricks to go zero waste and build cool stuff. 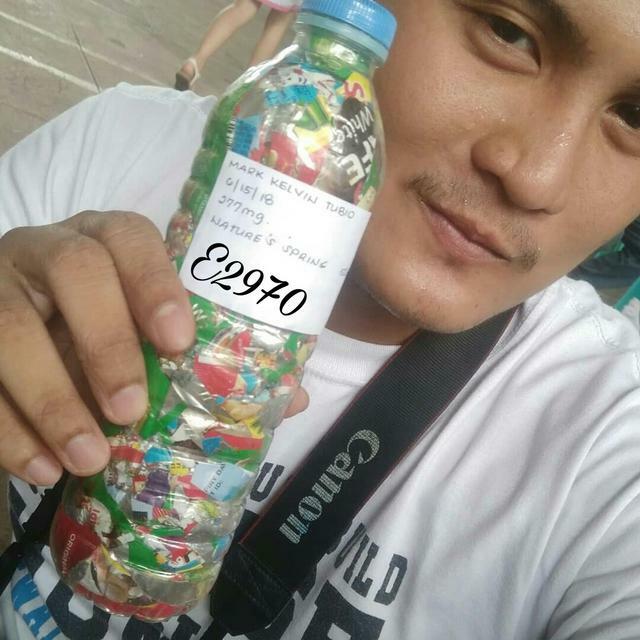 Mark Kelvin used a 500ml Nature Spring bottle to pack 278 g of factory waste plastic to make his number 2 ecobrick. Based in the city of Marikina, Metro Manila they are working hard to keep plastic out of the local biosphere in Philippines. Her ecobrick has a density of 0.56g/ml. Great job Mark Kelvin! Mark Kelvin logged this ecobrick with serial number E2970 on GoBrik. View the Ecobrick’s full data on GoBrik. You can also view this ecobrick on the Live GoBrik Flow.